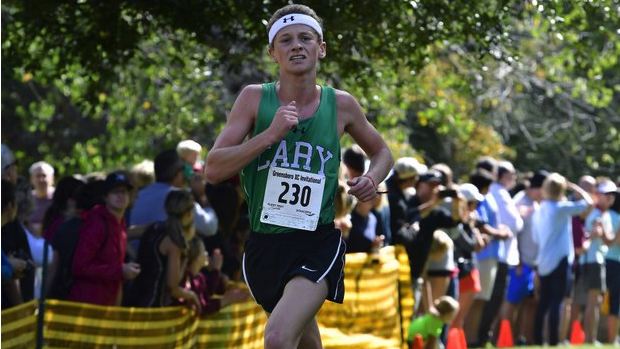 In November, Ted Sielatycki finished as Cary's fifth man at the Class 4A Cross Country State Championships in North Carolina, placing 41st overall. This finished helped the Imps win the first boys cross country state title of coach Jerry Dotson's coaching career by a mere six points. But it was a decision Sielatycki made during his sophomore year that gave Cary the boost it needed: From being possibly left off the podium to state champions. While Sielatycki played a crucial part of the team's success in 2018, it wasn't what he envisioned coming into high school. When he was eight years old, he had a friend that was into skateboarding. He'd watch his friend skate and film some of his tricks. That friend event let Sielatycki use his board from time to time, and over time he started to get pretty good at it. He eventually convinced his dad to buy a skateboard so he could pursue a new hobby. 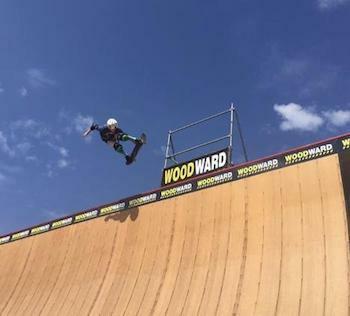 Sielatycki went on to pursue skateboarding throughout his childhood, skating with friends and competing up and down the east coast. He and his friends would watch videos of professional skateboarders, in awe of the tricks they could do and would run out to the skate park to attempt the tricks themselves. "The memory of winning my first contest is still seared into my mind," Sielatycki said. "It wasn't really that big of deal, but getting 50 dollars, new wheels, and a few shirts was probably the greatest thing to happen to 14 year old Ted." When he got to high school, Sielatycki wanted to play on the soccer team just like his brother and sister. He thought since his brother was good, he'd stand a good shot at making it. Then Sielatycki ended up getting cut after the second day of tryouts. His dad always told him if he didn't end up making the soccer team, maybe he should look into running cross country. While crushed for that moment, he took his dad's advice and joined Cary's cross country team. "I absolutely despised it the first few weeks," Sielatycki. "I was very self-conscious and would run with a shirt on and baggy gym shorts, even in the middle of a North Carolina summer, 100 degrees with 80% humidity and all." He muscled through the season and made friendships with his teammates and ended the year with a smile on his face and a full heart. He ended the season with a PR of 20:44. He would eventually go on to run outdoor track with season bests of 2:30 and 5:23 for the 800m and 1600m. By then, he accepted that this was going to be his sport and dedicated himself. Eventually, he dropped his PR two minutes down to 18:38. But he wasn't complacent with just being "another guy" on the team. "I basically told myself 'I'm tired of being bad at things, so why not give it my all?' The way I got it to finally click was by forcing myself to run with the varsity boys as long as I could, and as fast as I could. I would only last 1 mile, then 2, then 3, then 6, 7, 8, and 9! I learned the importance of daily core workouts, eating healthier, and I was able to finish out my junior year with a 16:31 5k which was a 2 minute PR from the previous season." A big part of his junior year success was changing his focus from skateboarding to running. Coach Dotson says he remembers it being a big deal to the team when he broke five minutes for the first time as a sophomore. With some encouragement from his parents, coaches and teammates, Sielatycki began to back off of skateboarding and devote that time to running. His breakout was a major boost to the Cary program as he would end the year in Cary's top 7 as they earned a runner-up finish to Green Hope in 2017. The Imps returned six of their top seven from the runner-up team and had a great shot at being Coach Dotson's first team to win a Class 4A cross country title. Sielatycki would be the fifth man on this year's team in 16:17. His 41st place finish helped the Imps to edge Green Hope by six points to win. If he kept his focus on skateboarding two years ago, though, it's safe to say he and his Cary teammates and coaches would not be state championships today. "I always thought of our cross country program as just "running fast with my friends," and that is how I learned to enjoy it so much. I owe everything to my coach, Jerry Dotson, and my teammates as well as my best friends, Anton Idhammar, Brian Picone, Stephen Atkinson, and Jackson Martin. I also give credit to my father for showing me what running was and letting me put my trust into his decision making to get me to run in the first place." His success in running has also helped him earn a spot on East Carolina's cross country team next fall. "The school is the perfect fit for me and I will be under the coaching of Coach Weaver, who has a history of success and I believe he is doing phenomenal things with the program," Sielatycki said. "I have a few close friends on the ECU distance, mid-distance, and sprint teams and all the people are amazing. I met a lot of them on my official visit and I am beyond excited about what the next 4 years of running has in store for me!" Sielatycki has gone on to have a great indoor season. He's run new PRs of 4:27.2 and 9:38.5 in the 1600m and 3200m qualifying for indoor states in both events. And he still has higher goals, like breaking 4:20 in the mile and 9:15 in the 3200m. Today, he still enjoys riding his skateboard from time to time around the neighborhood, but his sole focus is running. He also acknowledged that getting cut from the soccer team his freshman year was a blessing in disguise. Success stories like Sielatycki's are ones that coaches desire from their athletes. He was 19th on the team his freshman year out of 26 athletes and came along to play a major part of the programs success four years later. "He asked a lot of questions about things that he can do or change to become a better runner," Coach Dotson said. " He is very easy to coach, gets along with all of his teammates, he's willing to run any race that we ask of him, does a lot of cross training and is very consistent with his training habits." He also says that they'll use Sielatycki's determination and accomplishment as a way to motivate younger runners. He's certainly left a long time impact on a historically strong track and cross country program.